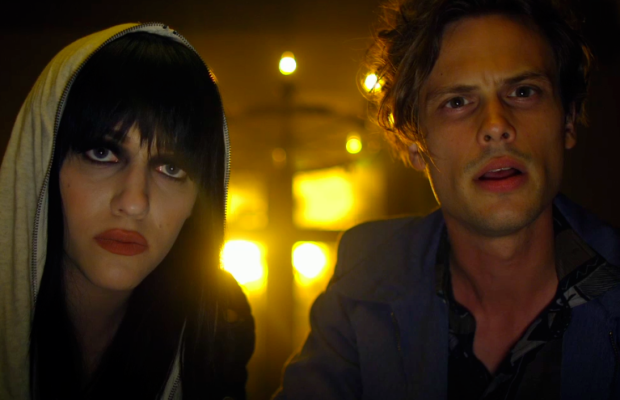 Suburban Gothic (2014) – Richard Bates Jr. Available now from Anchor Bay is this wonderfully quirky horror comedy. And let me emphasize the quirky, if you’re expecting a typical entry into this genre you are bound to be in for a bit of a shock. Happily, the film’s trailer sells its sense of humor really well. The film is also stocked with tons of familiar faces to cult audiences, Ray Wise, Jeffrey Coombs, Sally Kirkland, John Waters, and the Soska Twins! Bates not only directed, but co-wrote the film with Mark Bruner, and has cast it pretty perfectly. Raymond (Matthew Gray Gubler), despite his business schooling can’t find a job, and realizes he’s going to have to move home and live with his parents, Donald (Wise) and Eve (Barbara Niven). His dad is a high school coach, and an ex-jock (and just a little racist) and has never understood his son, while his mom is affectionate, and loves him, but not quite sure why she’s in the relationship she is with his father. Happily, Raymond can communicate with the dead, but sadly, can’t talk to girls, even dealing with the local bartender, Becca (Kat Dennings) causes him problems. Still, the two seem destined to pair up and begin an investigation to return Hannah to her proper resting place. Along the way there are frights, seances, local bullies, and run-ins with Donald. But even as they return to the body to its grave, things aren’t going to go as simply as Raymond hopes. And through it all, the laughs, caused by a wonderful combination of eccentric characters, quirky dialogue, a strange family, and a sense of fun, make this a pretty enjoyable viewing experience. Honestly, I laughed more than I thought I would, and really enjoyed everything in the film. I will be the first to admit, this one won’t be for everyone, some people may be offended by the dialogue, your sense of humor may not match the one on display in the film, but if it does, and like I said, check out the trailer below, I’m willing to bet you enjoy yourself. Everyone seems to be having a great time in the film, and it shows. Sure the special effects may not always be top-notch, but the heart and joy these folks have put into the film let you gloss over what may be deemed an imperfection. Personally I thought it was a hoot, and I’ve already started recommending it to others. So if you’re ready for something fun and different, check this one out, available now from Anchor Bay!